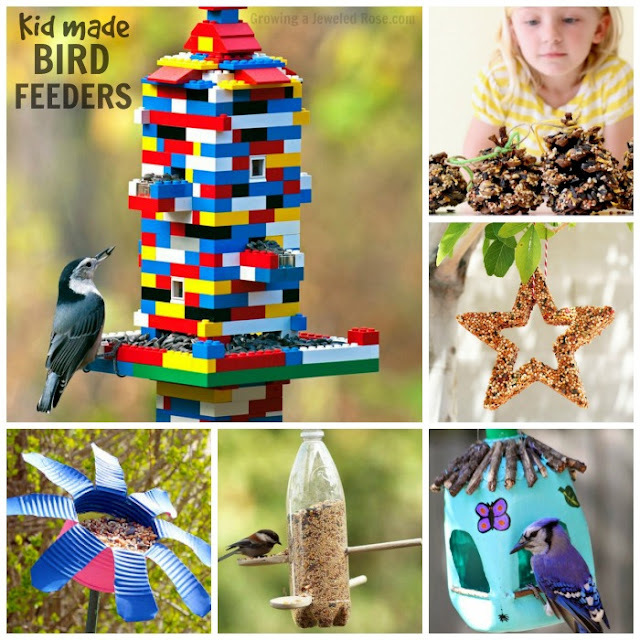 Here are 20 beautiful wind chimes that kids can make this spring. They are all so pretty you may find that you soon have a whole wind chime garden outside of your home. 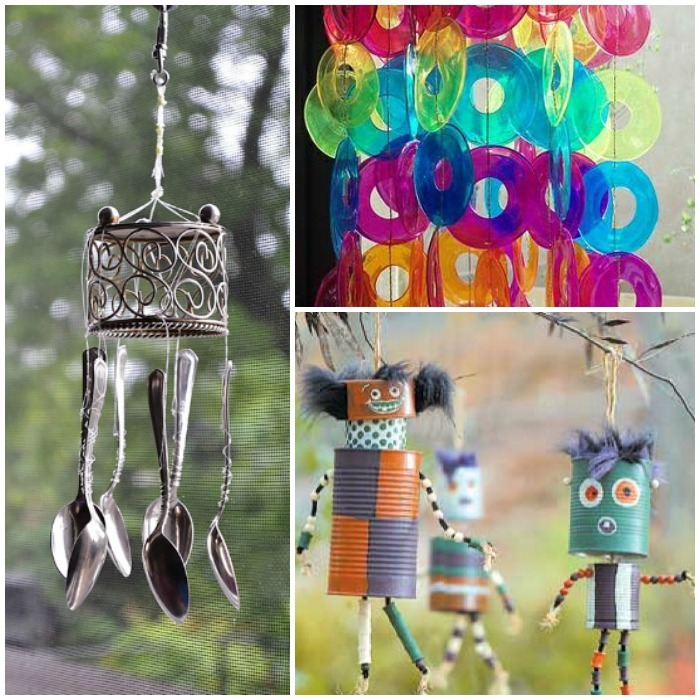 Turn an old colander into a beautiful beaded wind chime. Make a wind chime out of buttons. 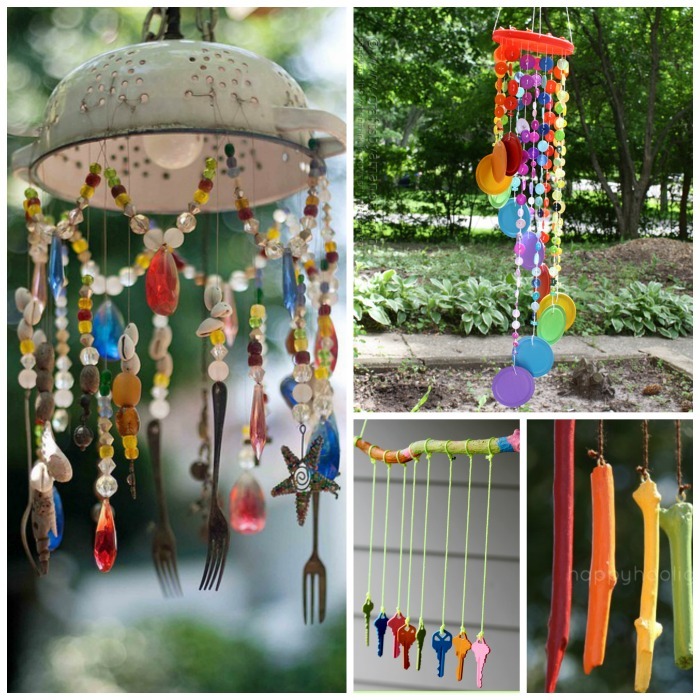 Add color to your garden with a rainbow stick wind chime. Make a wind chime from old keys. 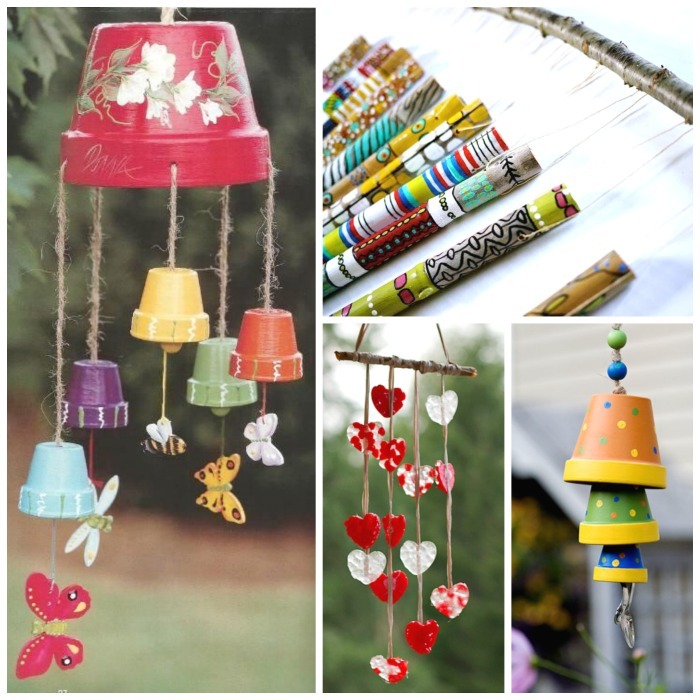 Have kids paint flower pots & string those into this gorgeous wind chime. Here is another spin on the terracotta pot wind chime. Make a wind chime from pony beads. Make a bamboo painted wind chime. 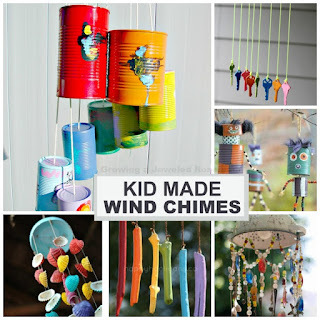 Transform tin cans into this beautiful wind chime. Make a a wind chime from bottle caps. Make it even more fun & have kids paint the caps first. Catch some rays with this beautiful sun catcher wind chime. 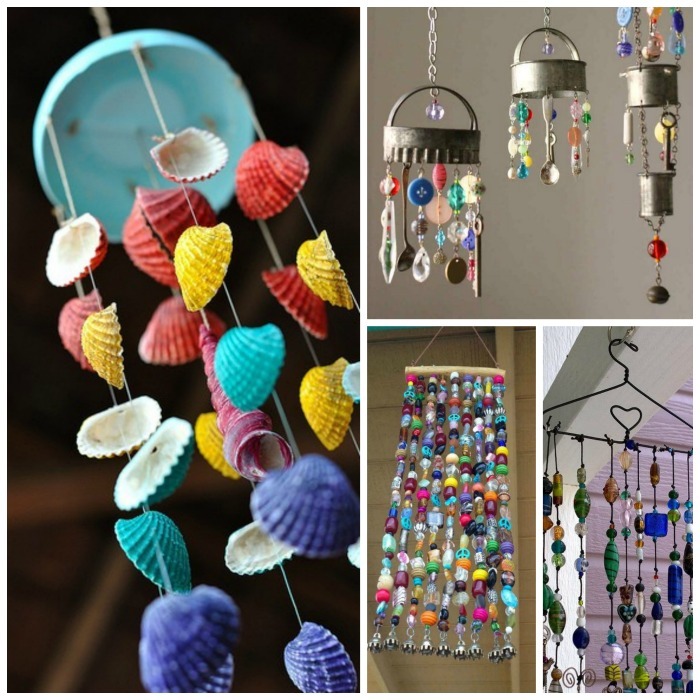 Have kids paint shells and make a wind chime. Make a wind chime from cookie cutters. Take a variety of different beads to make a simple beaded wind chime. Use a hanger to make a wind chime. Make a wind chime from spoons. 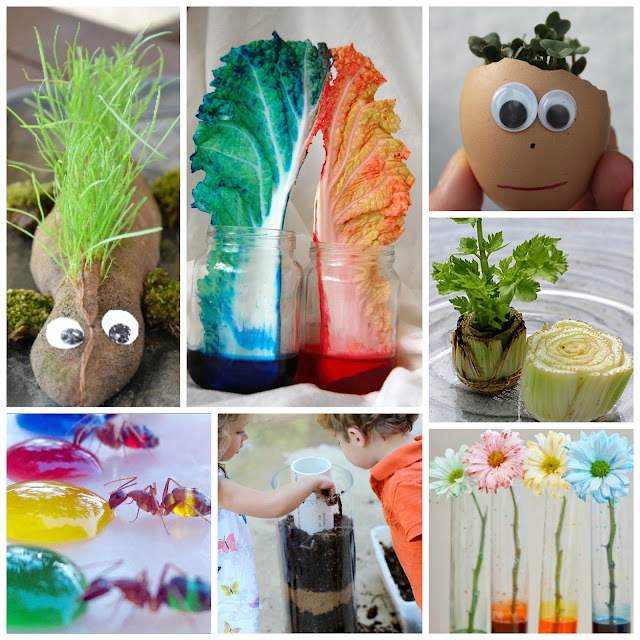 Have kids paint them first for even more fun. 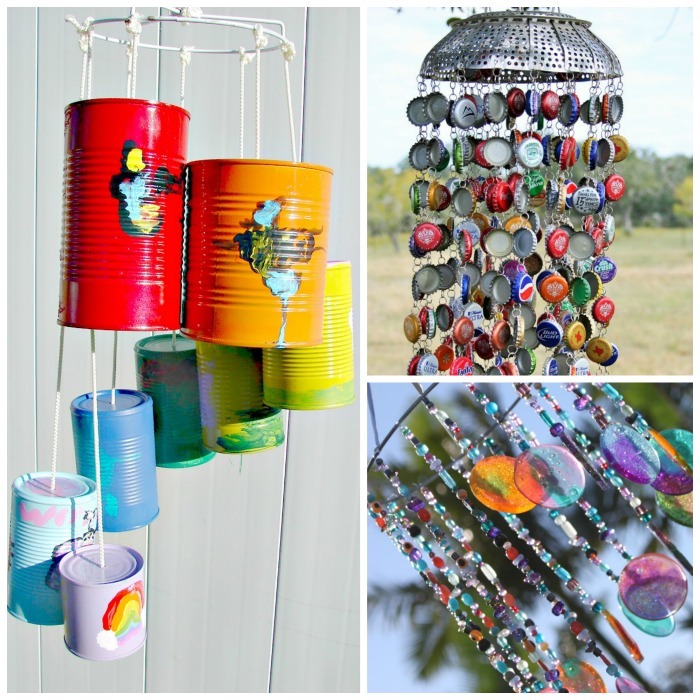 Make a beautiful rainbow wind chime from plastic cups. 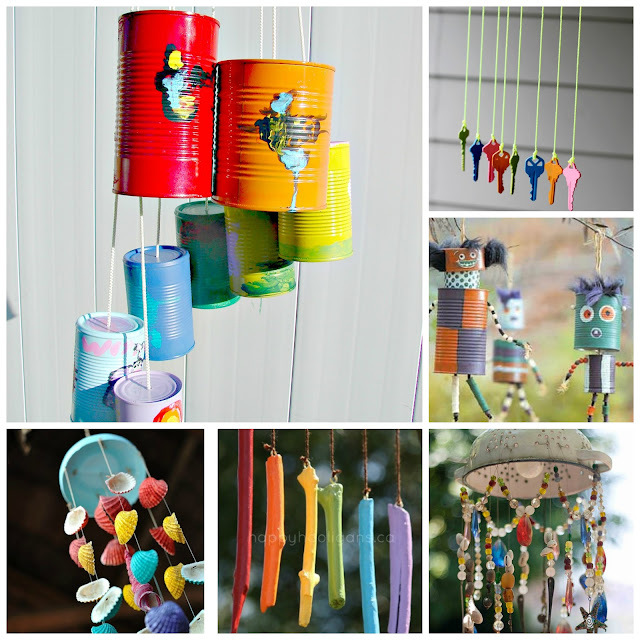 Transform recyclables into these adorable wacky dude wind chimes.